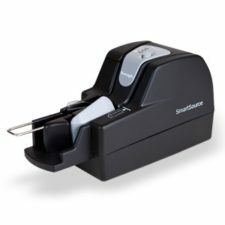 Burroughs Smart Source - Technology Unlimited, Inc.Technology Unlimited, Inc.
Technology Unlimited, an authorized sales and service provider, is proud to introduce the SmartSource® Professional Check Scanners from Burroughs. Using the same advanced technologies released on the Burroughs medium and high speed check transports, SmartSource Professional check scanners come standard with features and flexibility that enables increased operational efficiencies while driving down costs for remote deposit capture. Technology Unlimited provides on-site and depot service for all Burroughs Products. Contact us today.